An article published in the journal “Nature Communications” offers a solution to the problem of the origin of photons that make up a long duration gamma-ray burst. 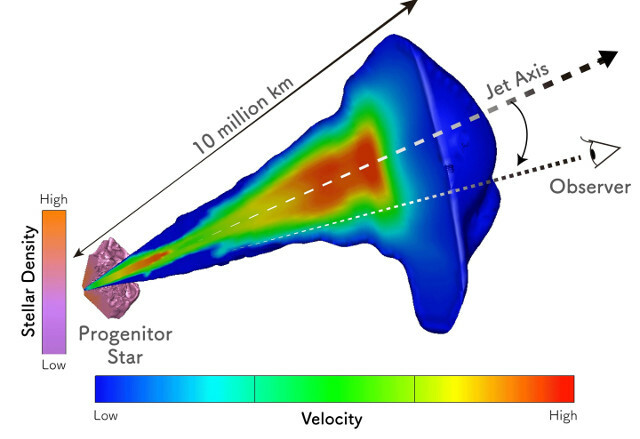 A team of researchers coordinated by the Riken Cluster for Pioneering Research in Japan created a series of simulations based on the Yonetoku relation, an equation devised by Daisuke Yonetoku, one of the authors of the research, which links the peaks of energy and brightness in gamma-ray bursts concluding that their photons originate in the photosphere, the area of ​​a star in which normal light is emitted. An article published in the journal “Nature Astronomy” describes the use of quasars as cosmic tracers to measure the expansion of the universe up to 12 billion years ago. 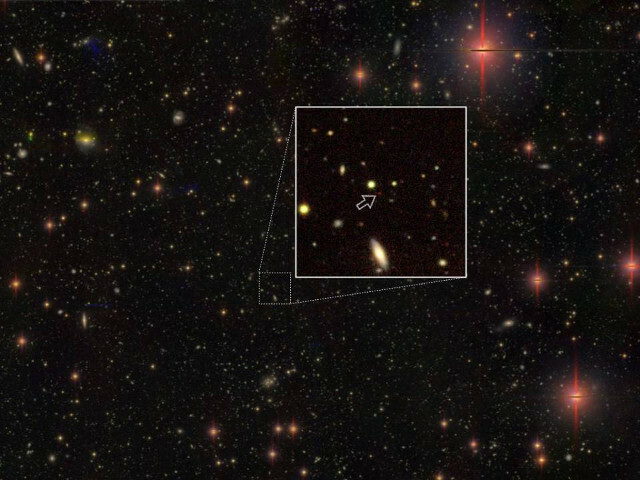 Guido Risaliti of the University of Florence and Elisabeta Lusso of Durham University studied the X-ray and optical emissions of a number of quasars using the comparison between those emissions to accurately assess their distances. 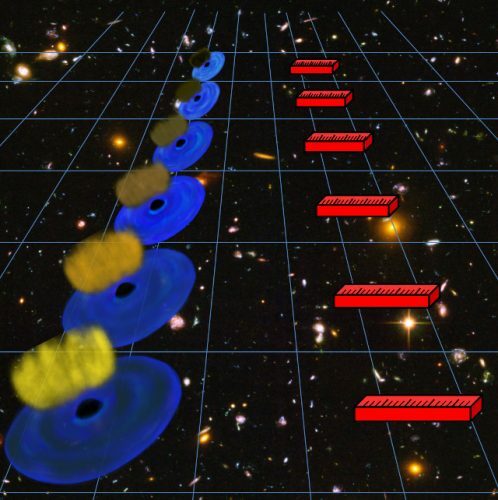 The results could explain the discrepancies between the different measurements carried out with other methods suggesting that the density of the mysterious dark energy isn’t constant over time. 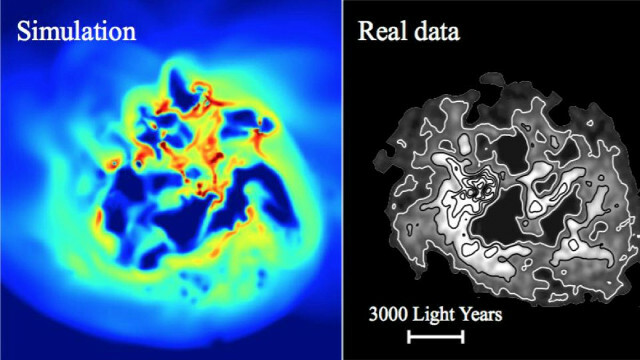 An article published in the journal “Monthly Notices of the Royal Astronomical Society” reports confirmations to the hypothesis of the effect known as dark matter heating. A team of researchers looked for the effects of the presence of dark matter in dwarf galaxies relatively close to the Milky Way, finding the confirmation that star formation can heat it causing it to move outwards. It’s a new possibility to study dark matter to try to understand its nature. 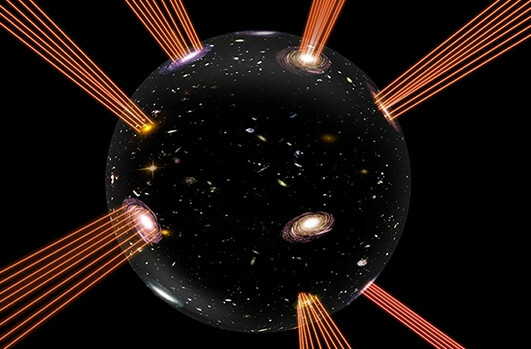 An article published in the journal “Physical Review Letters” describes a new model of the universe that proposes that it exists on the edge of an expanding bubble in a five-dimension space-time. A team of researchers from the Swedish University of Uppsala used string theory to hypothesize that the matter existing in the universe is accomodated at the edges of strings that extend into the fifth dimension. According to this hypothesis, what is called dark energy is an effect described by a cosmological constant in the four-dimension Friedmann equations.